Get a production-worthy Docker container for a Django application up and running in no time at all. Python2. Although most of this could be translated easily (replace the 3’s with 2’s ?). So with that application structure in mind, here’s the Dockerfile. I try to run alpine where possible as it’s incredibly lightweight. The less things you can have in a container the better. You decrease the general overhead of an image, as well as reduce potential attack surface area — containerisation is a big and upcoming security issue. Line 20 is vital to getting the migrations and static collection to run, as the app needs to be part of the PYTHONPATH. Copy the actual source of the app after you install dependencies so that when you rebuild the image after a code change, the Docker cache knows just to rebuild the source, and not reinstall everything. The port to expose is completely arbitrary but should match the gunicorn command. Tag your images, as it makes it easier to version them, deploy specific versions of containers etc. Here I am creating a container from the tagged image specified earlier. Never put environment variables inside the container itself — you should always specify them at run time. In this case, I have a file called env.list which has key=value pairs of environment variables on new lines e.g. -d means run it “detached”. Check it’s running by going to localhost:8000 (or whatever port you specified). You’ll probably get a database error. 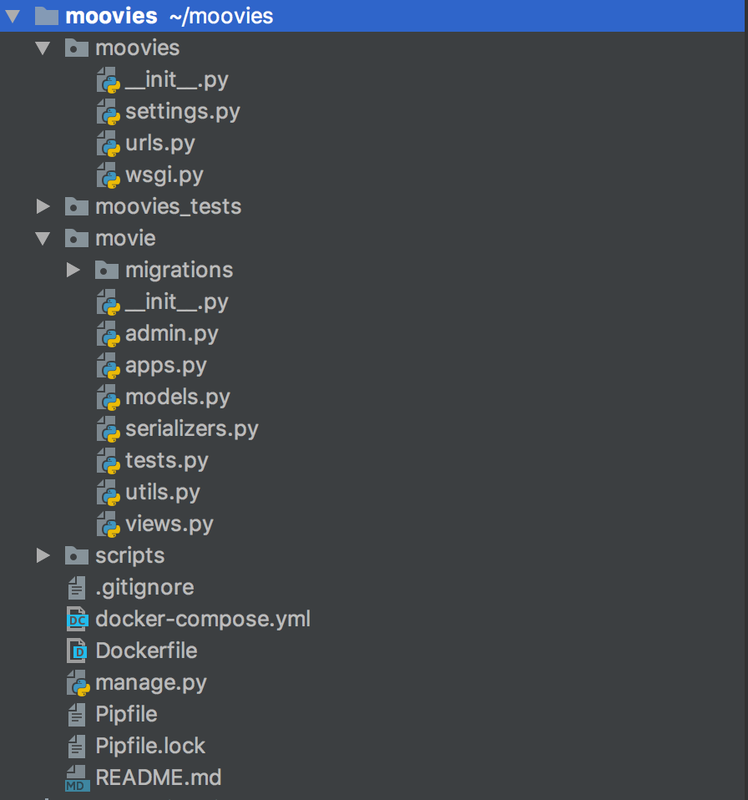 docker exec -t -i moovies-v1.0 sh -c "source /etc/profile && python3 /app/moovies/manage.py collectstatic && python3 /app/moovies/manage.py migrate"